Antibiotic resistance associated with overprescribing of the drugs is a known threat to public health and has been the subject of educational campaigns throughout the world. However, an analysis of recent US insurance claims data, using a novel classification scheme, calls into question how well those messages are translating into clinical practice. Published in BMJ, the findings show that in 2016, 1 in 7 enrollees in employer-provided insurance plans filled at least one prescription for an antibiotic on an outpatient basis that was inappropriate. The data reflect claims experience for more than 19 million individuals, including adults aged 18 to 64 and children aged 0 to 17 years. For the study, the authors developed a classification scheme to determine whether each of 91,738 ICD-10-CM diagnosis codes “always,” “sometimes,” or “never” justified antibiotics. For each antibiotic prescription filled in 2016, the scheme was used to classify all diagnosis codes in claims during a look-back period that began 3 days before antibiotic prescription fills and ended on the day fills occurred. The main outcome was the proportion of fills in each of four mutually exclusive categories: “appropriate” (associated with at least one “always” code during the look-back period, “potentially appropriate” (associated with at least one “sometimes” but no “always” codes), “inappropriate” (associated only with “never” codes), and “not associated with a recent diagnosis code” (no codes during the look-back period. The claims data analyzed were from the 2016 Truven MarketScan Commercial Claims and Encounters database, which contains claims for people aged 0 to 64 years who receive employer-sponsored health insurance. The authors said they “erred on the side of assuming appropriate antibiotic use” by, for example, classifying several diagnosis codes as “sometimes” even when oral antibiotics are rarely necessary. 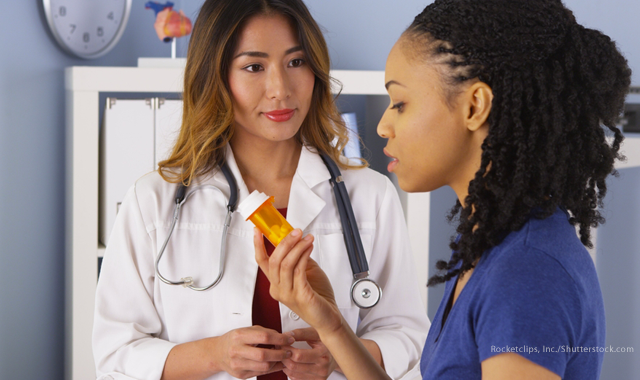 Overall, the researchers found that 23.2% of the outpatient antibiotics prescriptions written were inappropriate, 35.5% were potentially appropriate, and 28.5% were not associated with a recent diagnosis code. During the study period, 14.1% of the individuals in the claims database filled at least one inappropriate antibiotic prescription, including 10.6% of the children and 15.2% of the adults. Of the inappropriate prescriptions, 70.7% were written in an office-based setting, 6.2% in urgent care centers, and 4.7% in emergency departments. In subgroup analyses, 31.4% of antibiotics prescriptions to adults were appropriate, compared with 48.7% of those written for children. The most commonly prescribed antibiotics were azithromycin (19.0%), amoxicillin (18.2%), and amoxicillin-clavulanate (11.6%). The most common diagnoses associated with the appropriate fills were urinary tract infection, streptococcal pharyngitis/tonsillitis, and bacterial pneumonia. Acute bronchitis, acute upper respiratory tract infection, and respiratory symptoms such as cough were the diagnoses most frequently associated with inappropriate prescribing.